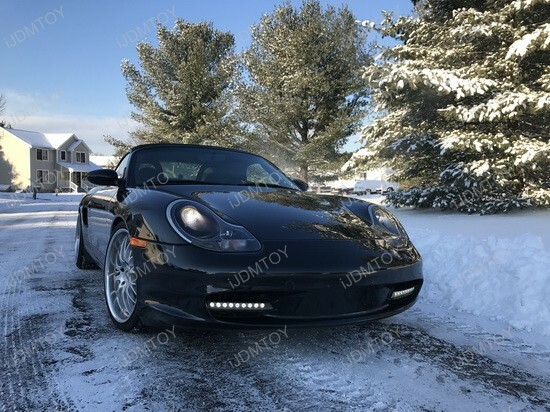 How Do LED DRLs Make Your Porsche Stand Out? In many people’s eyes, daytime running lights (DRLs) are a function that are just there; it only exists so other drivers can see you. DRLs aren’t very exciting to talk about either because they are not very bright nor are they fun to look at. And if you’re not a car fanatic, you might not even know that DRLs are a part of your headlight assembly! (honestly what normal person can tell?) However, one dear customer DOES know what they are and knows how to utilize the Audi A6-style xenon white LED daytime running lights to its full potential. So you need a high output of light of some form on your Toyota Tundra truck for those nighttime projects like freeway lane extensions. You already installed LEDs in your headlights and fog lights but they’re not quite enough. You decide on an LED light bar, but you have little tolerance for one of those bulky, double-row lightbars and even less room on your Toyota truck to mount one. What do you do? 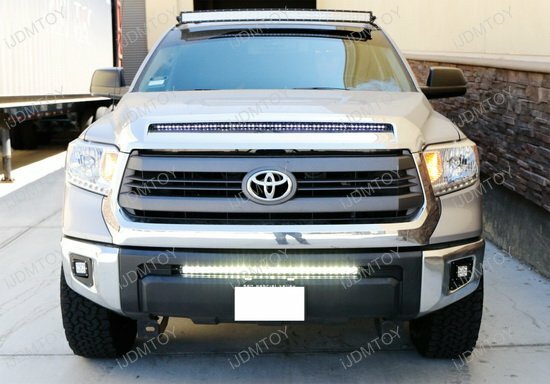 Slim LED light bars are a great solution for your offroading adventures or work projects if you have no way of mounting outside of your pick up truck. 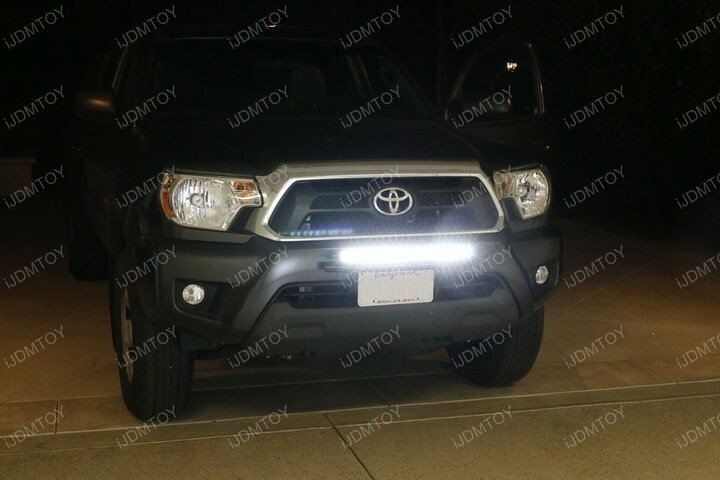 It is possible to secure an LED light bar behind the grille and that’s exactly where our ultra slim 126W CREE LED light bar is made to be mounted on the 2014 and later Toyota Tundra. So a typical LED light bar gives drivers the visibility they need for mountain driving, dark, rural areas, and construction sites while giving the truck a rugged, manly, and macho feel to it right? 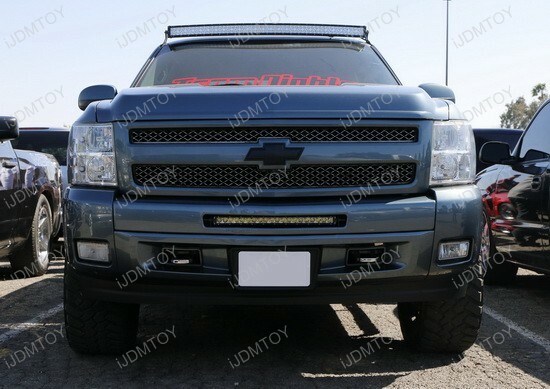 What about the lower bumper grill mounted 20″ 100W LED light bar for the 2011-2013 Chevy Silverado 1500? Perhaps… not so much. 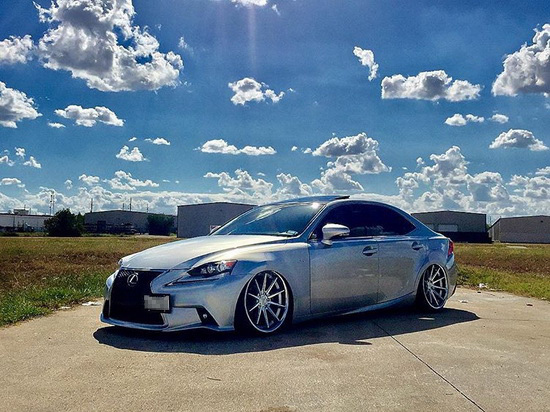 While I can’t imagine adding aftermarket parts to what to me is the perfect car to have, its hard to ignore the upgradability of the Lexus IS. Besides a new set of rims, one part that can be easily upgraded is its set of fog lights. Fog lights add to the lighting capabilities of the Lexus’s head lights and daytime running lights. And even though the stock fog lights are decent enough as it is, wouldn’t it be nice to change its color? With the JDM style 15W high powered LED fog lamps, you can.